The Buggers are a Senior Social Golf Club dedicated to the friendly, competitive game of golf. We enjoy the friendship of those seniors who love the game of golf and the fellowship that it generates. The Buggers were org​anized in 1985 and continue to be a vibrant working club to this day. Our forefathers laid down the Rules and Regulations so the organization could endure these many years. How do you become a Bugger? 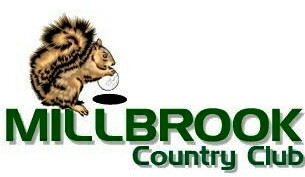 You must be an active member of Millbrook CC; you must be 50 years young and pay an annual Bugger membership of $20.00. The Buggers have organized opportunities to play golf each weekday, and several tournaments are held each month. Full handicaps are used per the Millbrook handicap system, except that some tournaments utilize handicaps based on past tournament play. Millbrook Buggers participates with several local courses. Each month, on a rotational basis, monthly tournaments are held at different locations. This provides our members an opportunity to play a different course, and includes a lunch afterwards. For more information contact the Pro shop.